The Union party was a merger of Federalists and Pro-Fenner Republicans. 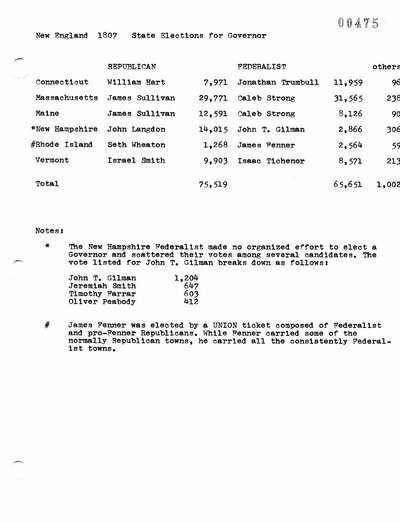 James Fenner is elected by a Union ticket composed of Federalist and pro-Fenner Republican towns, he carried all the consistently Federalist towns. Reports of the Rhode Island General Assembly. Vol. 6. 98. The Phenix (Providence, RI). April 18, 1807. The Providence Gazette (Providence, RI). April 18, 1807. The Phenix (Providence, RI). May 9, 1807.